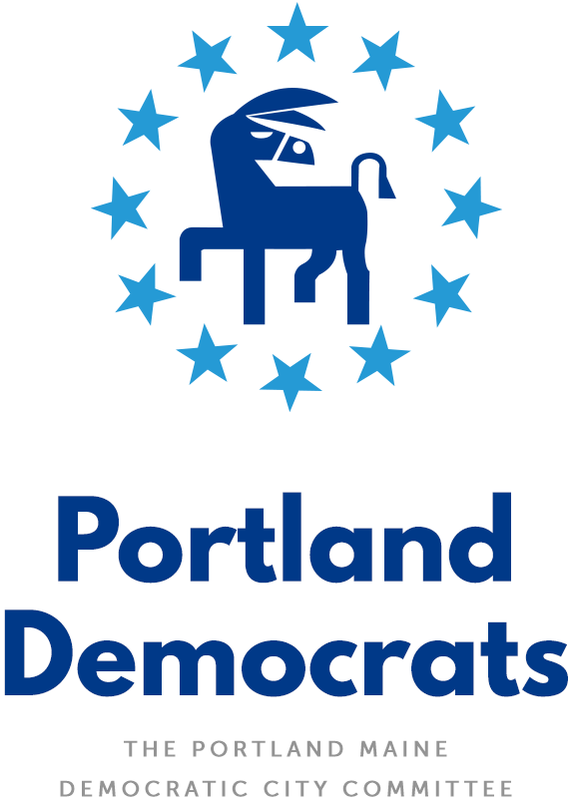 Portland Democratic City Committee – Page 3 – Everyone is welcome! Please join a committee meeting this month! I hope you had a great holiday season and got the chance to watch Governor Mills’ inauguration on Wednesday! If you missed it, you can watch the full video here. Since the holidays have just wrapped up, and the busy times of the political season are just beginning, we won’t be holding our monthly general meeting this month. The next monthly meeting will be on Thursday, February 21st at East End Community Center. While we won’t be holding a full meeting this month, please consider joining one or both of the following committee meetings. Issues Committee, in charge of turning our platform into policy. Right now, the main focus is on voter rights & access. We will meet on Thursday, January 16, 7 – 8 pm at 148 Noyes Street. Please RSVP here. Organizing Committee, in charge of building grassroots infrastructure, meets Monday, January 14, 6-7 pm at East End Community Center. Please RSVP here. I hope you can join us to build a stronger PDCC! Sam Tracy elected unanimously by acclamation after a brief statement. Elizabeth Murphy elected unanimously by acclamation after a brief statement. Cynthia Handlen elected unanimously by acclamation after a brief statement. Doug Lynch elected unanimously by acclamation after a brief statement. A quorum shall be fifteen (15) members of the City Committee. When less than 15 members of the City Committee are present at any meeting, no effective action may be taken except to adjourn. A quorum shall be ten (10) members of the City Committee. When fewer than 10 members of the City Committee are present at any meeting, no effective action may be taken except to adjourn. Question was raised about whether a bylaw amendment could be proposed without going through the bylaws committee. Mike Sylvester suggested an alternative might be to permit rules to be suspended, and have business be reconsidered at the following meeting. Big discussion about recruitment, how to improve turnout, whether the charter/goals of the committee were clear and relevant. Sam Tracy: Committees will be starting up soon and chairs will be appointed soon (a lot of people have expressed interest in the issue committee). Sam Tracy: Upcoming candidates for Attorney General have interviews on Maine Beacon podcast, if you’re interested, check those out. Sam Tracy: Social Media – check out “Discussion Group” on Facebook if you want to discuss in an open forum. Harlan Baker: Invitation to participate in the Cumberland Cty CC. Dec 2 Westbrook cty center is next meeting. Talk w/ chair about joint activity between the two groups. Harlan Baker: Craig Dorais and Harlan Baker does a “Say no to Racism” event on First Fridays on Monument Square at 5pm. Jon Hinck: Shout out to the elected officials who attended this meeting. Craig Dorais: Thanks to outgoing officers. Sam Tracy: Please take the food!